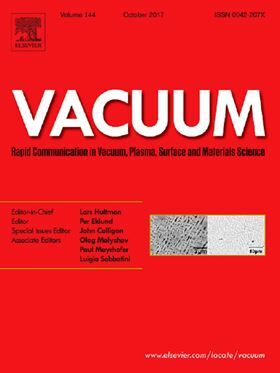 The research paper 'Study on a novel screw rotor with variable cross-section profiles for twin-screw vacuum pumps' has been published in Elsevier journal Vacuum. In order to improve the performance of screw rotors, a novel screw rotor with variable cross-section profiles, in which the screw pitch and cross-section profile varying with the helical angle, is proposed for twin-screw vacuum pumps in this paper. The screw pitch of the proposed screw rotor decreases, on the contrary, its screw width increases continuously from the suction side to the discharge side. Equations of its cross-section profile cluster varying with two variables, the angular parameter and helical angle, are derived. The proposed screw rotor is compared with the existing variable pitch screw rotor. The study results show that the proposed screw rotor can realize completely correct meshing, and has better comprehensive performance in terms of the built-in volume ratio, gas sealing and mechanical property. Thus, the screw rotor designed and the data obtained can be applied to the design and optimization of twin-screw vacuum pumps.